The real world is too plebeian for cars like these. I mean, where else but the Mall of the Emirates is a 1000+ horsepower supercar not going to make its surroundings look like a dump? One way to negate this problem is to surround it with other equally drool-worthy hypercars. Welcome to Driven 2013. I was actually in Spokane during the weekend of the show buying semi-slicks for my GTi and watching some drag racing (Full article on both of those events coming soon!) so these shots were taken by Gray from CarShotz. CarShotz is a Twitter based blog that focuses on filling the Twittersphere with pictures of exotics. If you're on Twitter and into ALPHA 9 GTR's and twin-turbo Lamborghinis check him out! Bridging the gap between tuner and exotic is Honda's opus, the NSX. The red quilted interior makes this NSX look particularly inviting. Looks like a steering wheel from an RSX has also been brought along for the ride. These days, 550 horsepower hardly makes the headlines but the Ford GT (NOT GT40!) still turns heads nearly 10 years after its introduction. These cars have aged very well and began to appreciate almost immediately. 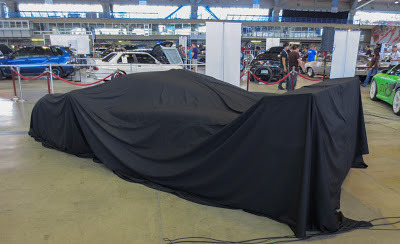 Just watch, these will be million dollar cars given some time. While the GT manages to still look modern, the legendary Ferrari F40 prides itself in its old-school looks. 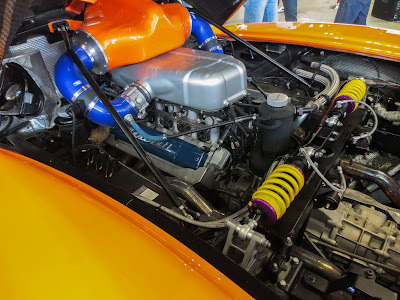 NACA ducts are everywhere on the purposeful carbon fiber body to direct air over hot components. The intricate matte wrap is unusual but seems to work well with the raw character of the F40. The twin turbo Ferrari had no trouble drawing a crowd of idolizing fans. That rear wing certainly looks like it means business, no? Again, the brutal nature of the F40 is easily apparent. The transparent mesh rear panel allows gawkers to easily see the beautiful exhaust and dozens of heat exhausting vents line the engine bay. Not exactly designed with rainy days in mind. These cars are violent sculpture. The last of the lethal supercars besides the foaming-at-the-mouth insane Viper. But you've been waiting long enough, let's see what's under the dramatic black cover. 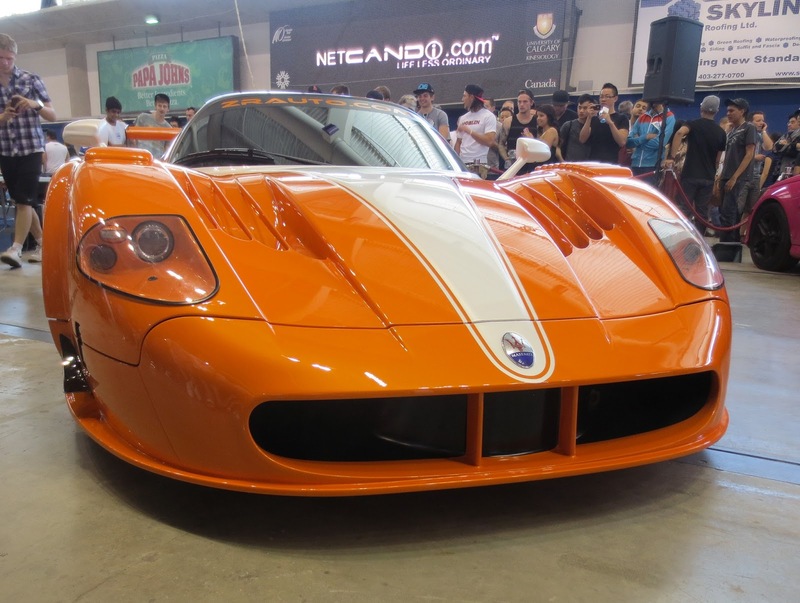 It's an ultra-exclusive Maserati MC12 Corsa. 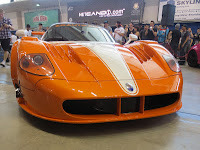 This car is one of twelve ever made and is the only street legal MC12 Corsa in the world. Price when new of this minimally tamed racer was a staggering 1.47 million US dollars. That kind of coin buys a shrieking 6 liter V12 that makes 745 horsepower at a mind numbing 8,000 rpm. You'll also literally be the only one on the road with this car. Racing cues are everywhere on the MC12 Corsa which is hardly surprising as its essentially a street legal GT1 race car. That rear diffuser certainly doesn't seem very "driveway friendly." However, the cockpit looks perfectly "driver friendly" and those alacantara seats look rather inviting. 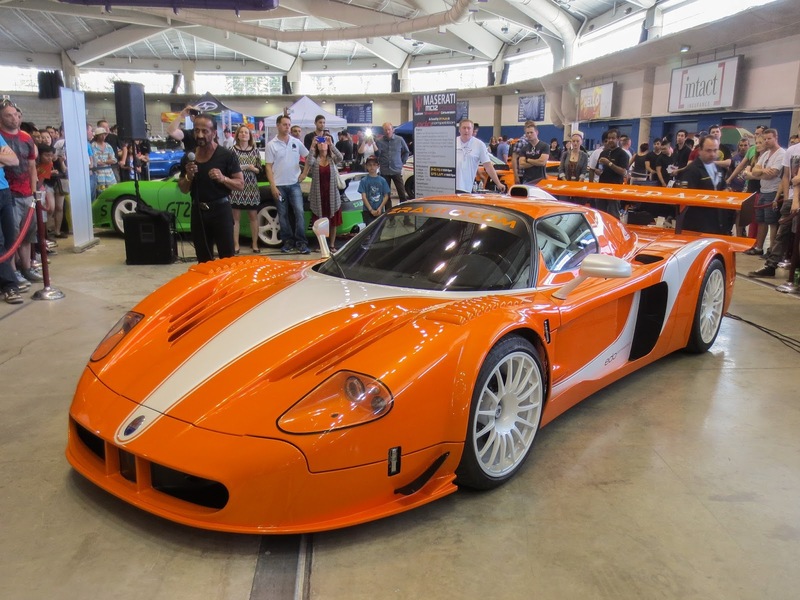 From stanced compacts to race ready exotics, the Driven auto show had it all. Be sure to mark it down on your calendar for next year! And thanks again to Gray at CarShotz for the use of his photos!